Emily, I so love your writing! As a member of the Minnesota Chorale, I would add one bit of information about last night’s performance that radio listeners could not witness. When the orchestra musicians took the stage as a unit, as they have done all season, the Chorale was invited to stand with them,to be included in the audiences’ greeting of celebration. I have never felt so proud and excited! Thanks for that detail!! Love it! It was a fantastic concert and I loved both the Heitzig and the Stravinsky. 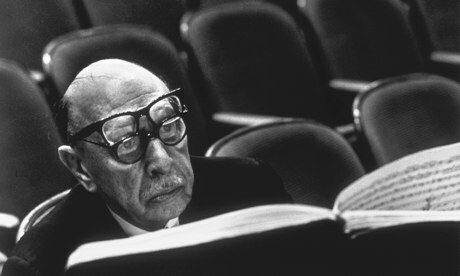 I especially loved the sparseness of strings in the Stravinsky. I’m glad I saw it live. This is a great point to bring up. Experiencing music *live* is such an invigorating experience, and for me more personal. And really, Carmina Burana is a piece that really *needs* to be experienced live… there is nothing the physicality of that sound blasting out at you. Live performances, 100% better 100% of the time. I want to engage your calling out of the “review of weirdness” by STrib reviewer William Randall Beard. One really must read the review at least twice, to realize that Beard is slamming, damning and blamming [sic] the music, maybe the musicians too, but it’s hard to distinguish his points. Is he sober?. Seems that Mr Beard was having a reeelly bad night, just didn’t like it, whatever, so . . Our music community, not only the MNO, doesn’t need any Mr Beards; he might be more comfortable in NYC, and I would recommend that he look into it. Thanks for the suggestion (and the kind words). For O Fortuna I usually channel my inner Klingon but on Saturday and Sunday I definitely used the lockout as part of my inspiration!